A pot-pourri of Parisian tangos, English folksong, baroque and popular song down the centuries. After spending 30 years and almost 1000 miles apart in England and the south of France, The Two Sisters Hilary James and Janet Giraudo have recorded their debut album. 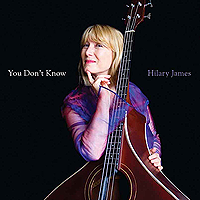 The new album from Hilary James – blues, swing, American folk songs, Gershwin, Hoagy Carmichael – with a host of guest musicians including Simon Mayor, Brendan Power, Dave Mattacks Frank Kilkelly and many more. 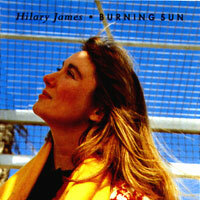 Hilary James’ most recent CD of English music. 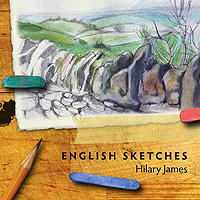 A celebration of English rural life, landscape, weather and seasons in traditional song and new settings of poems by Thomas Hardy, A E Housman and William Shakespeare. Hilary James’ 2004 studio album is a mixture of traditional and original songs and tunes, including a Playford dance, Carolan’s Concerto, heart-rending traditional ballads and lively reels. With Simon Mayor and guests Frank Kilkelly (guitar), Phil Fentimen (guitar & double bass), Alan Whetton (soprano saxophone) and Simon Price (drums). 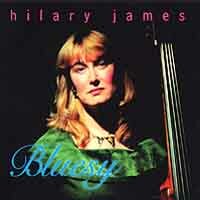 Hilary James’ bluesy inflections are nothing new to those who have seen her in concert, but for the first time this side of her repertoire appears on CD. 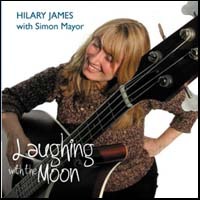 Newly remixed, remastered and reissued – Hilary’s debut album is a magical and atmospheric blend of folk songs and originals with haunting words and melodies, and stunning arrangements by Simon Mayor.